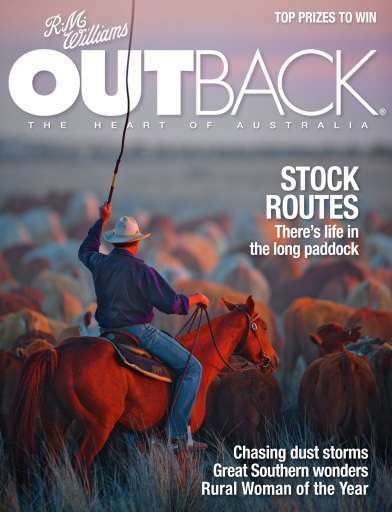 Settle into 2014 with the new issue of R.M.Williams OUTBACK. 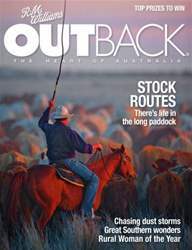 Enjoy the tail end of summer with our February-March edition, which covers subjects as diverse as horse riding, dust storms, travel in remote Australia and gardening. There are our usual favourites of Dogs, Pubs, Towns, Boots, Bush Weddings and Bush Kids. The magazine includes some fantastic prizes to win including books, an Akubra hat, R.M.Williams boots, R.M.Williams gift vouchers, toys for the kids, even some food for the dog!